Paisley’s bid for UK City of Culture 2021 has a French connection – with ambitious plans to transform the town’s future to be discussed at a high-level summit in Paris. A small team from Renfrewshire will attend a Scottish Government reception in the city to celebrate Scotland’s strong cultural and trading links with France, as part of a two-day programme of meetings to help promote Paisley abroad. The invite came from Scottish Cabinet Secretary for Culture, Europe and External Affairs Fiona Hyslop, who is hosting the reception on behalf of Scottish Development International – the government’s investment and trade promotion body. While in Paris, the Renfrewshire team will aim to put Paisley’s City of Culture ambitions on the international map, and will meet with the director of the French branch of the British Council, the body which promotes UK interests overseas. Their schedule will also see meetings with Scottish trade interests in Paris from the textile industry, which will help shape plans for the development of the Paisley Pattern. They will also meet up with regeneration experts from the Organisation for Economic Co-operation and Development (OECD), who visited Paisley earlier this year. Renfrewshire Council Leader Mark Macmillan said: “For Renfrewshire to be represented at this level is a real vote of confidence in Paisley’s cultural and heritage offer. “It shows Paisley’s ambitions are being noticed at an international level and organisations such as the British Council and SDI see us as having something they can help market and promote abroad. 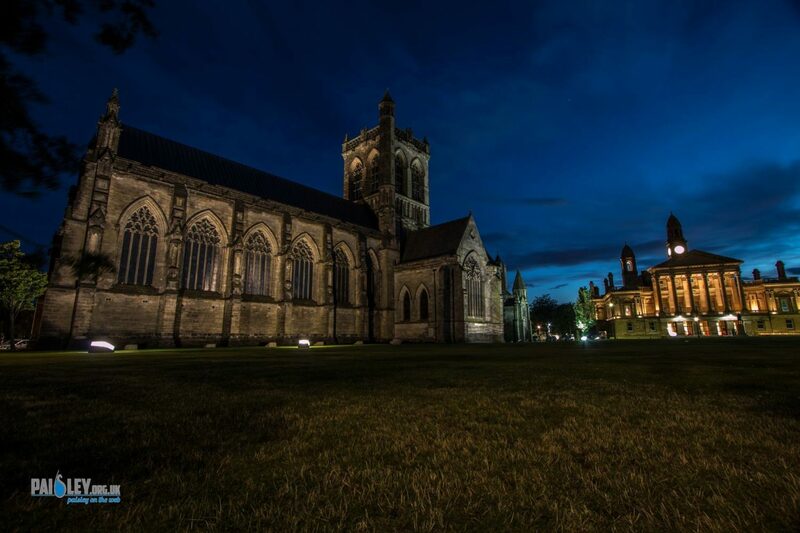 “One of the aims of Paisley’s UK City of Culture bid is to help sell the town as a heritage tourism destination. “Running alongside the bid will be a multi-million-pound revamp of Paisley Museum to turn it into an international-class museum of textiles, drawing on the town’s unique place as the one-time centre of the global thread industry. Paisley’s bid for UK City of Culture 2021 is due to be lodged with the UK Government in spring 2017, with the winner to be announced later that year. The bid will receive its public launch with a massive outdoor event in the town centre on Saturday 14 November running alongside the annual Christmas Lights Switch-on.